Turn the oven on to 220C/Gas Mark 7. 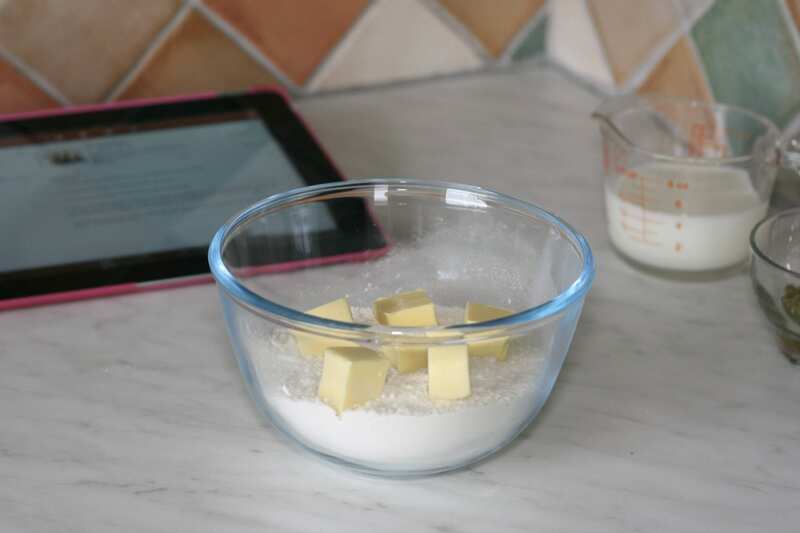 Mix together the flour and salt (already done in the ingredients photo) and rub in the butter – remember how you were taught at school? 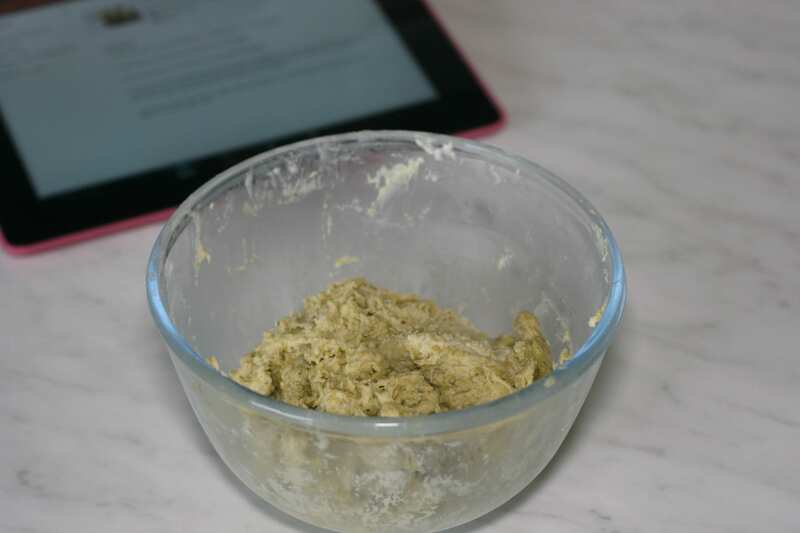 I hate rubbing in butter, normally I just chuck everything into my food processor. Cut out as many rounds as possible and put onto a baking tray. 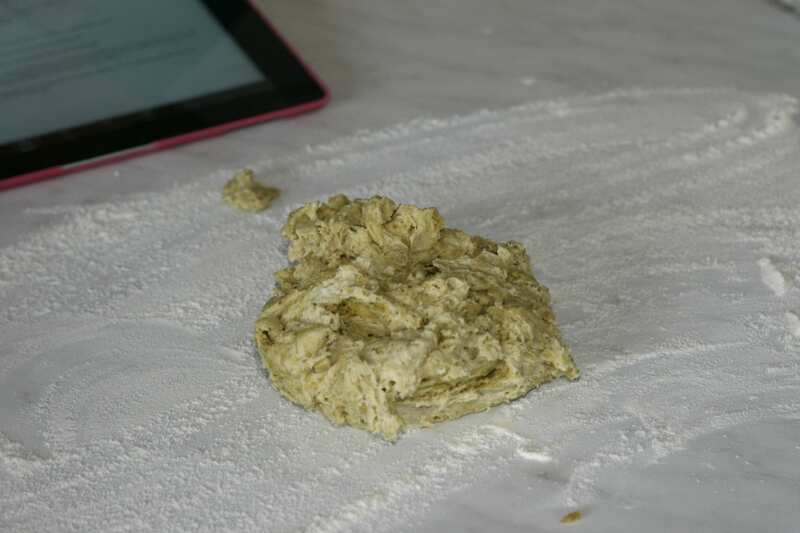 Knead the left over dough together and roll out again, cutting out more rounds until its all used up. 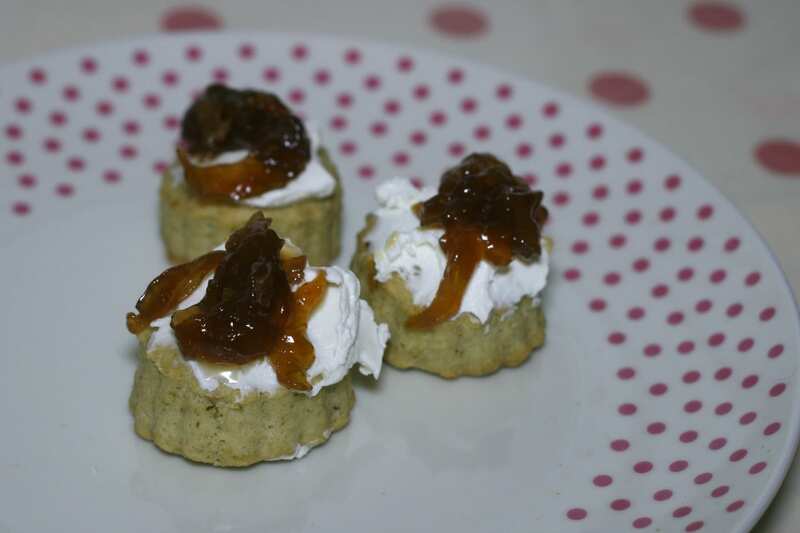 The mini scones were cut with the smallest cutter – they do shrink a little. Next time, I think I’d use one thats at least 3 inches across. Brush the tops with milk (if you remember…) and bake for about 12-15 minutes (depending on the size) until they’re well risen and golden. I ate mine with Philadelphia and a caramelised red onion chutney from M&S that honestly, I would eat from the jar if I could. These are best eaten the same day you make them – they weren’t inedible the next day, they just weren’t as good. 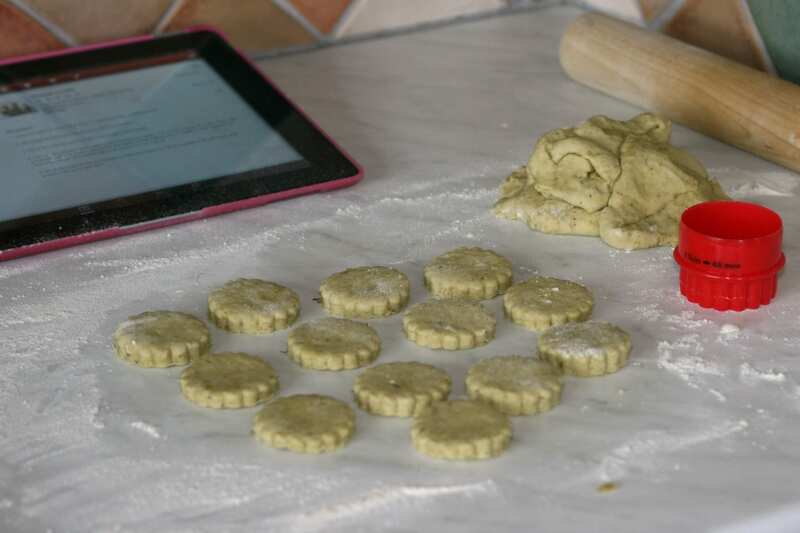 If someone is coming round, these would be so easy to put together – they took less than half an hour to make and bake. Yum indeed. I never think to bake scones. Or anything much, really. I’m one of those people who has nothing in my cupboards. Er, yum! Please make me some of these. Thanks. This sounds delicious! 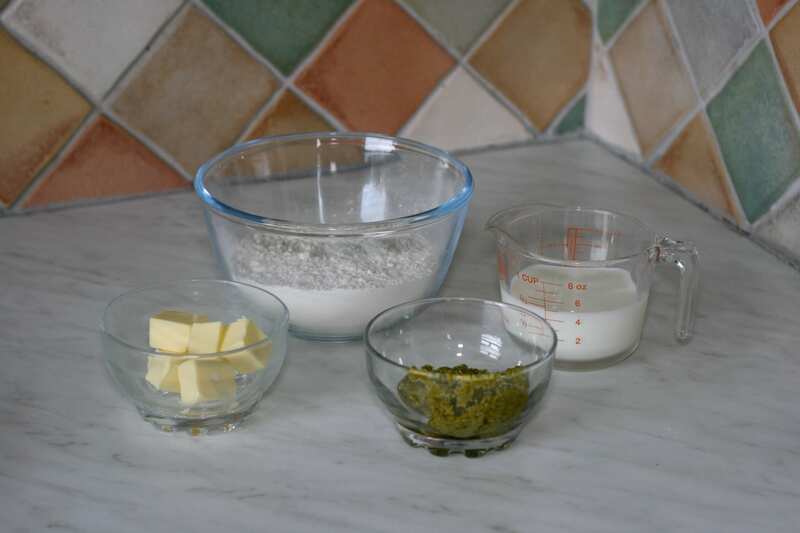 I love scones of all types, but I’ve never tried pesto ones before. These sound delicious, I will definitely be trying these!